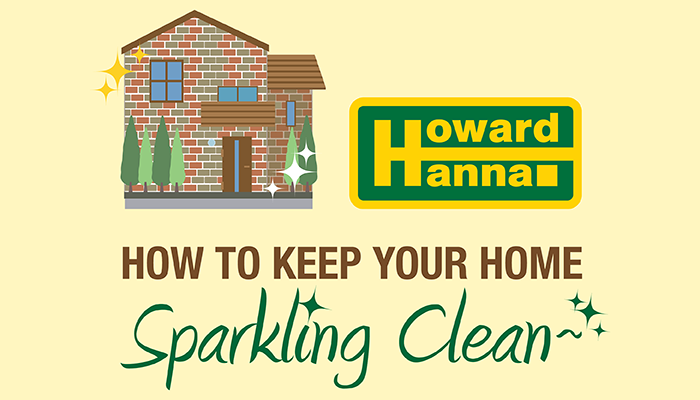 Keeping a home clean can be challenging, especially on a day-to-day basis. To make the process easier, we’ve compiled the following list on what parts of the home you should focus on cleaning each day, week, month, and season! Wipe down surfaces in the kitchen, including the counter tops and the sink. If you have a dishwasher, be sure to rinse dishes and store them in the dishwasher by the end of the day. The next morning, you can multitask with the dishwasher by running it while you’re out of the house. If you don’t have a dishwasher but have dishes coated with something hard-to-scrub, fill them with warm water and soap and let them sit overnight. It’ll make cleaning the dishes much easier the next day! Clean the floors thoroughly by mopping, sweeping, or vacuuming, and vacuum upholstery. Wash the laundry: the clothes, the towels, the bedsheets, etc. Scrub bathroom fixtures: the toilets, the tubs, the sinks, and the showers. Tip: If you have multiple bathrooms, let a cleaning agent work its magic in the toilets and on the showers while you clean the sinks and counters. When you’re done with them, it’ll make scrubbing the toilets and the showers much easier and faster! Dust surfaces, objects, and shelves. Wipe down appliances in the kitchen. Throw out expired food from the refrigerator and check the expiration on anything that you don’t plan to eat soon: if it’s close to expiration, toss it out as well to prevent unwanted mold. Clean both the microwave and the oven. Tip: Use a cleaning spray that needs to soak for a few minutes to optimize cleaning. Let it sit and soak while you work on other items. When it’s done soaking, it’s much easier to clean as you won’t need to scrub as much, just wipe! Wipe down all the kitchen and bathroom cabinets. Get the details: wipe down the doorknobs, the lamps, and the light switches. Wipe down the baseboards and vacuum the vents as well. Disinfect and clean all the garbage cans. Air out the rooms and the draperies. Clean the pantry and get rid of anything that’s expired. Wash the pillows, the throw blankets, the comforters, and the duvets. Sort through the closets and organize items into four piles: keep, donate, clean or repair, and store for the season. Wash the windows and dust the windowsills.